Wainscoting and decorative wood moldings can be the perfect finishing accent to a custom printed wall mural. The image in the inspiration room above shows how you can use a room's pre-existing molding to frame out a wall mural. 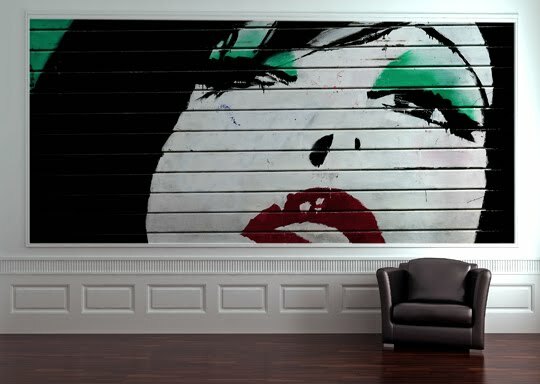 As opposed to filling the entire wall, the molding acts as a frame, creating the feel of a hugely oversized art piece. The same look can be created with smaller vignettes in multiple molding frames on a single wall. The same custom wall mural image could be segmented out, or multiple images could be used to tell a visual story.